AP Japan Blog: Editorial: Wisening up maybe? Wisening. That's a word, right? I suppose you could say that is what is happening. At a time after the anime boom of the Western world has begun to cool, anime staples like Geneon and NEWTYPE USA fizzled out of existence, it all might seem pretty scary for the anime consumer. But maybe, now, all is not so dire. ... And it was all wrong. The DVD hit the shelf with as little hype as possible, no grand anime convention licensing reveal. The box, two discs, has nine episodes, offered subbed only, with just about nil extras. There is a special edition box set, actually, but that's beside the point. This standard set, only costs the price of what a usual release would cost, about $25 (all prices USD), and within three volumes, whereas a normal release would come out over five or six volumes for the same cost per volume (and sometimes more as you get closer to volumes number five and six, if typical). The same thing is being done for the latest release of Ouran High. The first volume of the series will come thirteen episodes in two discs! The cost will be $45 to $50 when released, but that is what one would pay in a more traditional release for two discs of four or five episodes only. We are now seeing a trend, I believe, where more DVDs, even the popular ones, will be released as such; bundled and reduced on cost! And that's where the wisening up comes in. Where anyone can buy a TV on DVD box set of, oh, twenty-six episodes for $30, it seems strange to pay the near equivalent for five of one anime series. Though costs are significantly lower, and more releases are being made than back in the day, I think it's a lot to ask in this day and age. 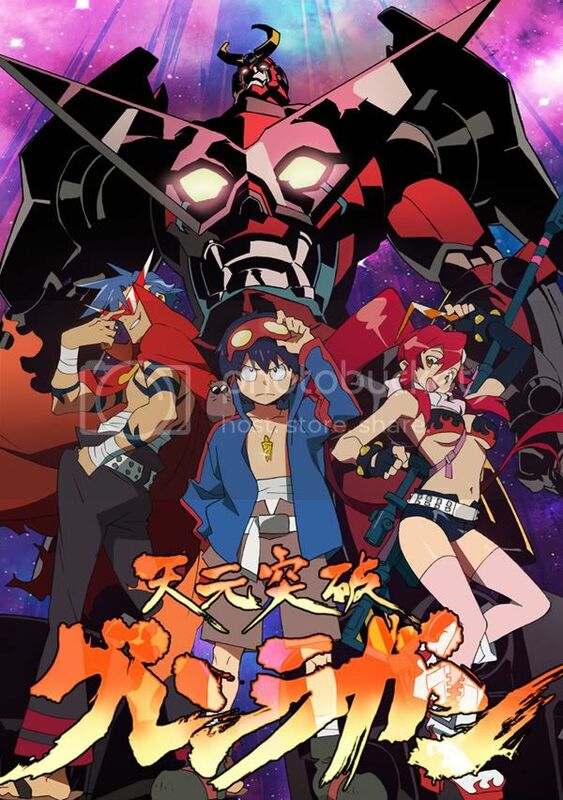 And maybe this is where licensor, Bandai Entertainment, got it right in its Gurren Lagann release. They saved on the cost of voice actors by releasing subbed only discs, which turned the appeal from subbed/dubbed optioning to simply a lesser cost! Though it was a gamble, I don't think Bandai feared experimenting a little with this series, given its tremendous popularity (and that they would not have to hire voice actors for it either. By the way, they started doing iTunes downloads for this series too, just like I always wanted!). I, myself, am always looking for a deal though. I never buy anime unless it's got some markdown. And typically at my local FYE, there will inevitably be a sale sooner or later. Aoi & Mutsuki, for example, I bought in a two disc set with all thirteen episodes for around $20, and while it is a more obscure series, I like it like that! Some of these less popular, and even, more campy series really ought to be lower in price, and placed together more than one disc at a time. Overman King Gainer is one such example. It's a very obscure series, with slower pacing and much confusion in the first few episodes. I never paid more than $6 for a volume between four or five episodes, except the last volume, number six, I paid $9. The series never had a big following, and it's taken all of this time for it to even give it a spread in this month's issue of Otaku USA since it's release in 2006. It is both underrated and a rather undesired buy. By coupling volumes one and two (and subsequently three and four, five and six) I believe that the series may have taken off better, because of the value aspect and, even if you didn't like the first four episodes in volume one that well, you're still stuck with volume two, which picks up in speed and answers some more questions. So what's the cause of all these trends? Economic downturn? That soon-coming readjustment of the anime industry I so did not fear? Whatever the case, I'm not displeased. Let's hope this trend grows, for the rest of the upcoming new releases (and maybe even, gets a little cheaper yet). For more information see these past posts (please! ).